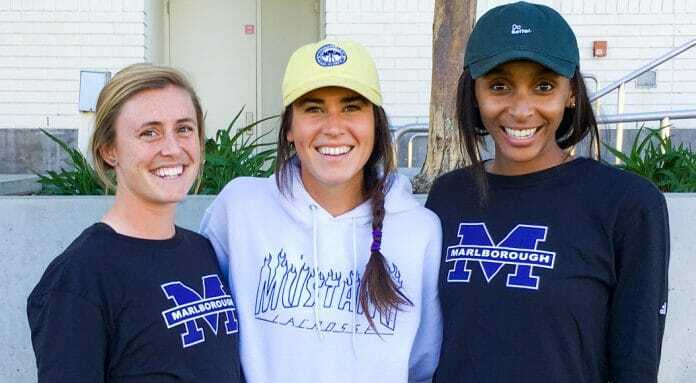 As head coach Meghan Toomey prepares for her third season leading the Marlborough lacrosse program, here’s a look at Toomey and her staff as part of our Meet the Coaches series. Maddy Morrissey: From upstate New York, Morrissey is a varsity assistant coach at Marlborough. She is a 2014 NCAA Division I Duke women’s lacrosse alum in her third year coaching for the Mustangs. Meghan Toomey: From Annapolis, Md., Toomey is in her third year as head coach at Marlborough. She played NCAA D-III lacrosse at Salisbury, graduating in 2014. Taylor Thornton: From Dallas, Texas, Thornton is the JV head coach at Marlborough. A 2013 graduate of NCAA D-I Northwestern, she is in her second year coaching for the Mustangs.